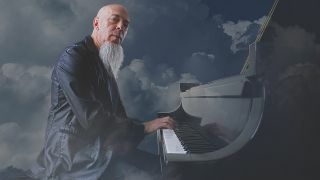 Jordan Rudess has released a lyric video for his new single Why I Dream. It’s the latest material taken from the Dream Theater keyboardist’s upcoming solo album Wired For Madness which will launch next Friday (April 19) through Music Theories Recordings/Mascot Label Group. Rudess previously shared Wired For Madness Pt. 1 and Wired For Madness Pt 1.3. Speaking about Why I Dream, Rudess says: “Trust the cards if you dare… guitarist Vinnie Moore and I trade burning leads in Why I Dream, the lyric video release from my upcoming solo album. Rudess is also joined on the record by his Dream Theater colleagues James LaBrie and John Petrucci, while Marco Minnemann, Guthrie Govan, Joe Bonamassa, Rod Morgenstein and Elijah Wood also feature.